That pretty much sums up how Phil McAdams and his wife, Susan, feel about their beloved Pagosa Springs. They came to visit friends here in 2004 and left owning 5 acres! That was over a decade ago and they’ve loved being here ever since. 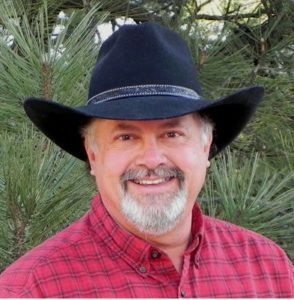 Originally from Texas, Phil McAdams has lived and worked in Tennessee, Florida, Connecticut, Arizona, and now Colorado. An avid fly fisherman, Phil enjoys “wetting a line” in his spare time along with ATVing, hiking, snowshoeing, skiing, and other mountain activities. Phil and Susan are also very active in their local church and volunteer in programs that help the community such as Loaves & Fishes and providing firewood to the elderly. You’ll find them at community events year round like July 4th parade, county fair, balloon festivals, high school plays, community concerts, and even in the local movie theater occasionally. Phil brings with him over 35 years of experience in engineering, consulting, technology, business management, and government/military projects. Having been personally investing in real estate for decades, he now loves to help folks by making their real estate buying/selling experience a great one here in beautiful Pagosa Springs.